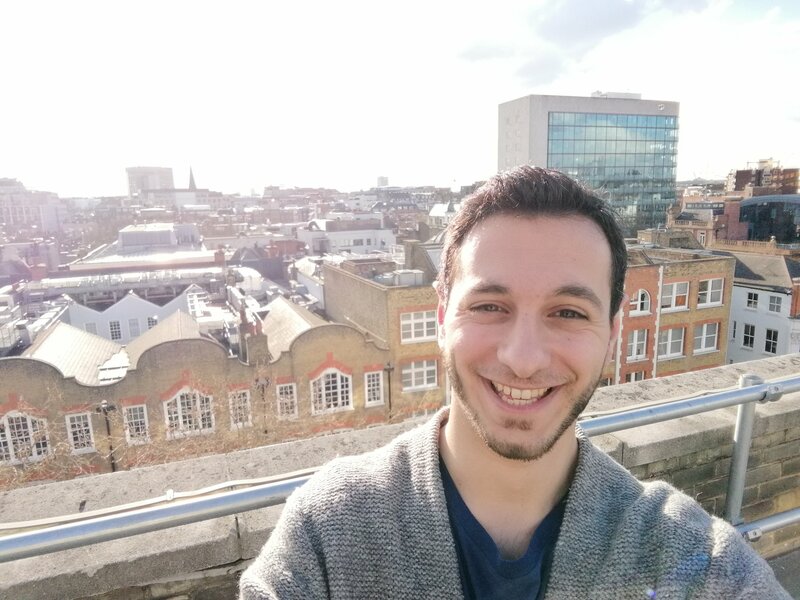 When I first saw Desktop Mode being used on the Huawei Mate 10 Pro, I was impressed by the way a smartphone could integrate into a work environment. Fast-forward to MWC 2018, the yearly tech conference that takes place in Barcelona, and the Chinese company has extended that idea to its new tablet. The MediaPad M5 Pro, just like the Mate 10 Pro, combines Android with desktop-orientated features and takes aims at Windows 10 2-in-1s with its bundled stylus and optional keyboard case. 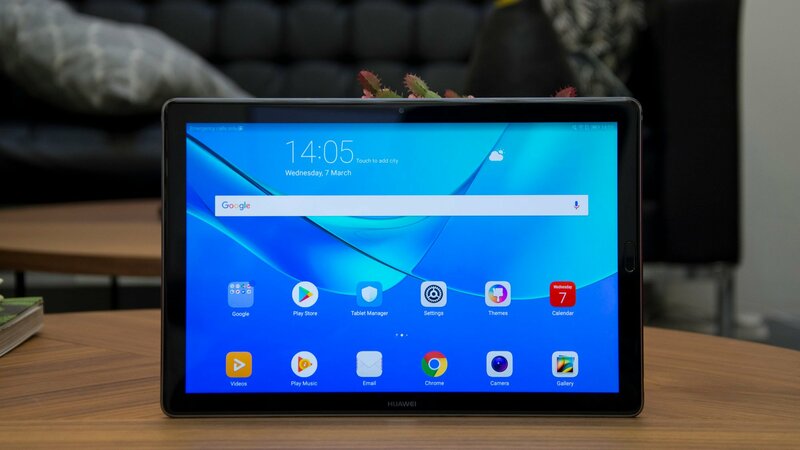 The Huawei MediaPad M5 Pro is a tablet with a 10.8in, 2,560 x 1,600 resolution IPS display, and comes with a bundled pressure-sensitive stylus, it runs Android 8.0 Oreo, and has both Wi-Fi and cellular connectivity. The M5 Pro comes into its own, though, when you use it more like a laptop, which the MediaPad M5 switches into when you drop it onto the keyboard case. Disappointingly, though, the keyboard isn’t bundled in – only the stylus – and you can’t use desktop mode on an external monitor, either, like you can with the Mate 10 Pro. Before diving into the review, it’s worth mentioning that Huawei also offers a smaller variant of the M5, though, it doesn’t come or support the M-Pen stylus. Priced competitively, the smaller variant offers near-identical specs as its older sibling. Naturally, the 8.4in variant differs in its screen size, battery capacity (5,100mAh down from 7,500mAh) and supports the full Microsoft Office suite, unlike the 10.8in variant as Microsoft cuts off support for anything larger than 10.1in. If you want something smaller, and don’t mind sacrificing a bit of screen, the MediaPad M5 8.4in is an excellent alternative. 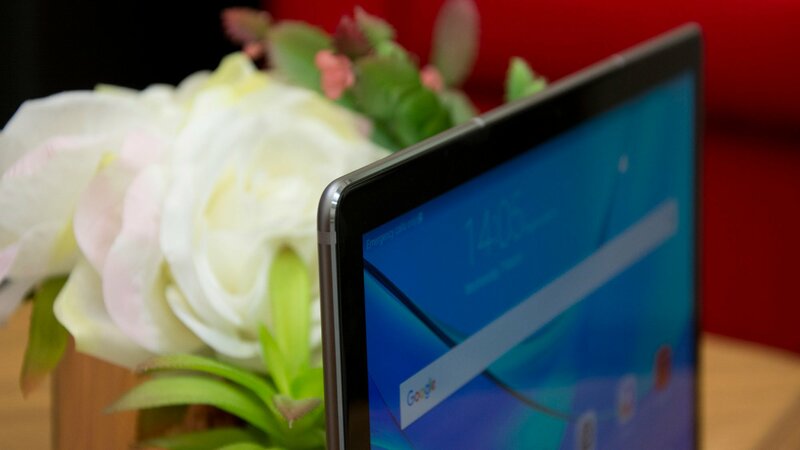 The Huawei MediaPad M5 Pro 10.8in starts at £450 (€499) for a Wi-Fi-only 64GB tablet. The version I’m testing here is the £500 (€549) 64GB model with Wi-Fi and cellular connectivity. 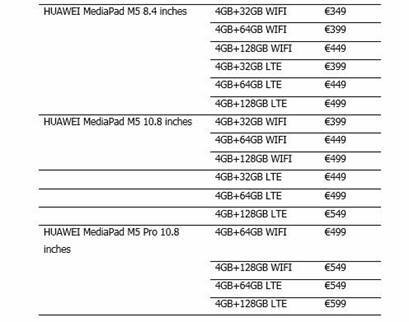 There is a non-Pro 10.8in MediaPad M5, which is £50 cheaper, but this doesn’t ship with – and isn’t compatible with – the M-Pen. This might seem like a lot of money but its closest rival, the 64GB 10.5in iPad Pro costs £719, doesn’t ship with a stylus or a keyboard and the 9.7in Samsung Galaxy Tab S3, which does come with a stylus (but not the keyboard) is £30 more (£530) and comes with half the amount of storage. If you want to be running Windows 10 instead, there’s the £650 10.6in Samsung Galaxy Book that comes with a keyboard and an S-Pen stylus. The larger £530 Lenovo Ideapad Miix 700 and £650 Miix 510, and the cheap and cheerful £200 Linx 12X64 all come with a keyboard. Picking up the tablet, you’ll notice its slender design. Combined with the M5 Pro’s curved metal body, a glass front that curves subtly at the edges, and a slender, 7.3mm-thick profile, it’s a masterpiece of tablet design. 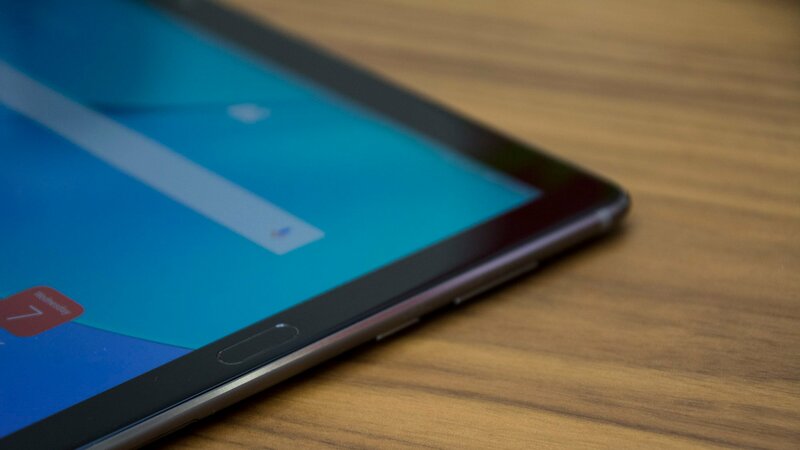 Holding the tablet in landscape mode, there’s a front-facing 8-megapixel camera at the top of the device and a lightning-quick fingerprint sensor on the right-hand side, facing forwards. At the rear is a 13-megapixel camera and a set of four Harmon Kardon speakers. These are incredibly impressive and provide a loud, distortion-free sound that are capable of reproducing an accurate sound throughout the frequency range. However, what the MediaPad M5 gives with one hand, it takes away with another and that’s because there’s no 3.5mm headphone jack. 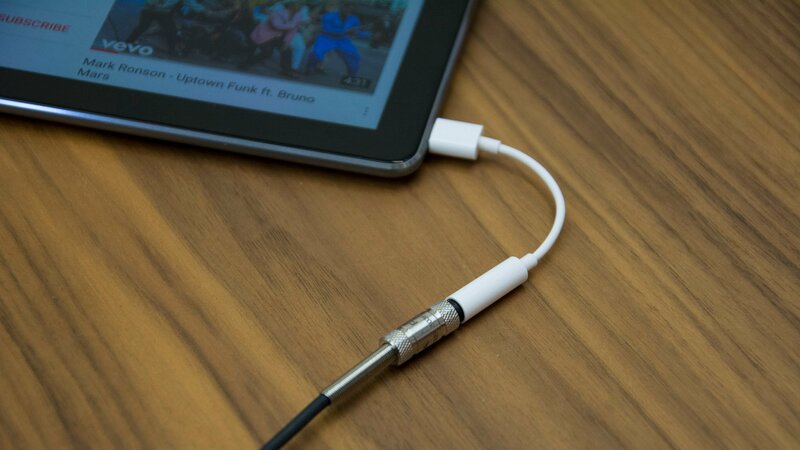 With the jack missing, you’ll have to rely on the supplied USB-C to 3.5mm adapter for wired headphones, which is eminently losable. And remember, there’s no other physical port here so unless you have a splitter you’ll not be able to use your wired headphones at the same time as charging the device. The placement of the USB-C port in the bottom right corner is rather awkward, too. If you want to use a keyboard like the Logitech K480 which has a slot for propping up your tablet, the low placement of the port means the cable snags on the slot so you have to use the tablet upside down. At least wireless connectivity is well rounded, though. You get 802.11ac Wi-Fi, Bluetooth 4.2 and even 4G connectivity, plus microSD card expansion with support for cards up to 256GB in size. The MediaPad M5 Pro’s display measures 10.8in across the diagonal and has a resolution of 2,560 x 1,600 at a classic aspect ratio of 16:10 with a pixel density of 280ppi. This puts it at a (small) disadvantage to its more practical rivals, the iPad Pro 10.5in and Samsung Galaxy Tab S3. Both of these have squarer displays that are better suited to working on when they’re attached to a keyboard in portrait orientation. Huawei uses an IPS display here and this can be tuned to an accurate or vibrant colour profile, which are denoted by Normal and Vivid in the settings menu. With a 97.8% sRGB gamut coverage in Vivid mode and 87.4% in Normal, the screen looks great in either mode. Similar to the iPad Pro’s pitch-perfect display, videos and photographs look fantastic on the M5 Pro and viewing angles are spectacular, too. As for the numbers, they’re fine, too, although not spectacular – through the i1 DisplayPro calibrator, the tablet achieves an average Delta E of 2.45 and 1.97 in the Vivid and Normal modes, respectively. Maximum brightness is 381cd/m2, which is adequate for indoor use but indicates you might struggle to read material displayed on-screen in outdoor bright ambient light. The contrast ratio is decent, too, at 1,482:1 and ensure colours pop and stand out. It’s a great screen, although not up to the standard of the fabulous AMOLED display on the Samsung Galaxy Tab S3, and the iPad’s display is both smoother at 120Hz and brighter. Housed inside the Huawei MediaPad is a 2.3GHz octa-core HiSilicon Kirin 960 processor and 4GB of RAM. That’s plenty of horsepower to play around with, although it isn’t anywhere near as fast as the A10X Fusion in the 10.5inch iPad Pro. With 4GB of RAM, multitasking is a breeze and the MediaPad M5 Pro was able to handle whatever I threw at it. For productivity, the tablet is perfectly capable of coping with strenuous tasks and, when dropped into the optional keyboard case, it gives you the option of switching over to a desktop-style UI running on top of Android Oreo. This adds desktop UI-style elements and lets you run windowed Android apps instead of forcing you to run them full screen, but otherwise, it’s Android, pure and simple with all of that OS’ strengths and weaknesses. Great though Android might be on phones, it still doesn’t quite cut it as an alternative to a Windows 10 2-in-1 for me and that’s principally because most Android apps aren’t optimised to run in a desktop-style interface. There are some important apps that work well, including Google Docs and Microsoft Office, but many that don’t and quite a few that still don’t even support autorotation. It’s also worth noting that the full mobile version of Microsoft Office isn’t even free to use on the MediaPad 10.8in since it has a screen larger than 10.1in. If you opt for the smaller 8.4in variant instead, Microsoft Office works flawlessly – allowing you to create and save documents directly to your tablet. Nevertheless, the inclusion of the M-Pen in the box is a bonus and it’s up there with the best in terms of its specifications. The stylus has 4,096 levels of pressure sensitivity and is capable of both tilt and shade functions. Compared with the Microsoft Surface Pen or Samsung’s S-Pen the M-Pen doesn’t quite have the soft-feeling to the nib. It feels a touch hard and unforgiving. But if sketching is your thing and you like to take handwritten notes instead of typing them, it’s a worthy inclusion. 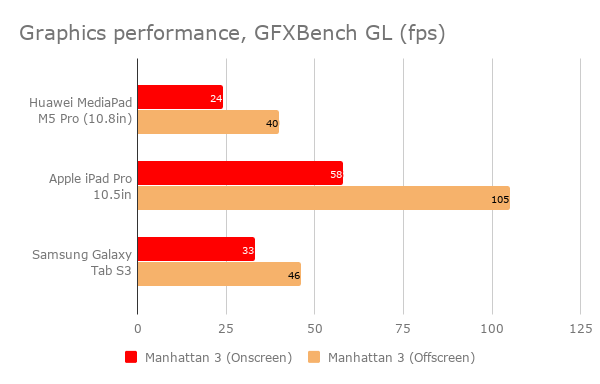 As for benchmarks, it’s on a par for CPU operations with the Samsung Galaxy Tab S3 and for gaming you can expect around 20 to 30fps in taxing titles, which is acceptable. 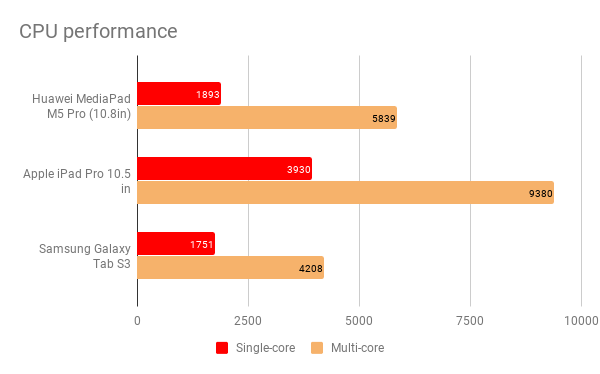 But it’s slower than the Tab S3 and a long way behind the 10.5in iPad Pro for gaming. As for battery life, that’s more impressive, with the MediaPad M5 Pro 10.8in and 8.4in M5 lasting 12hrs and 11hrs 20mins, respectively in the Expert Reviews video benchmark. It’s still slightly beaten by the 10.5in iPad Pro in this test, but only by an hour. The 10.8in 7,500mAh and 8.4in 5,100mAh battery also charge pretty quickly – in just under three hours. 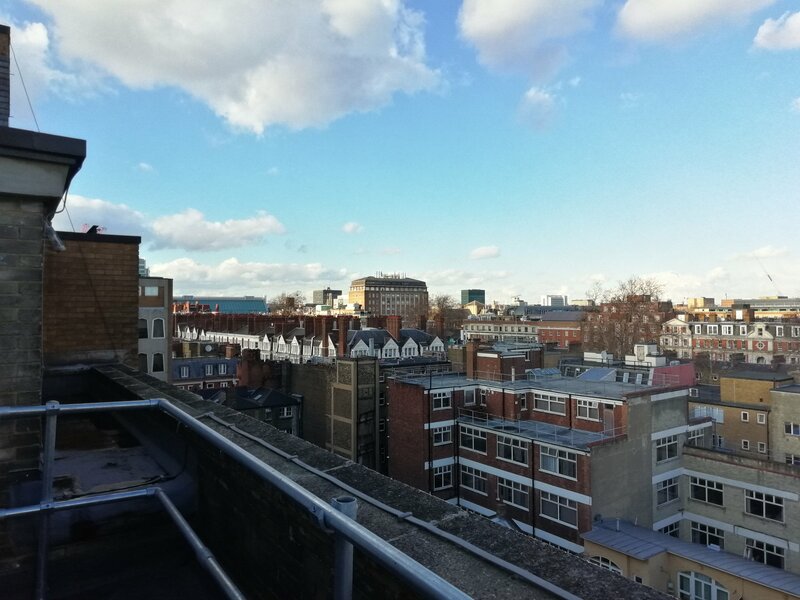 I’d normally not dedicate an entire section to a tablet’s camera, as I can’t see why you’d want to use such a big device for taking a snap or two, but here the M5 Pro is so impressive I feel it deserves a little extra attention. Its rear f/2.2 13-megapixel camera with phase detection autofocus is able to pick up plenty of detail, especially with HDR enabled. 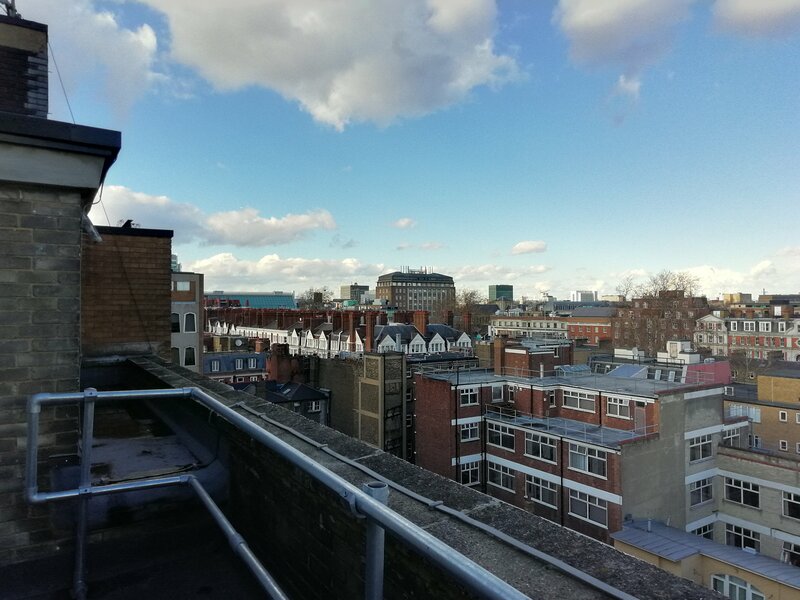 In the images below, you can clearly see the before and after effects of HDR – bringing out more detail on the red brickwork at the foreground and not overexposing the sky. In low-light, however, the rear-camera struggles. There’s lots of image noise, blurry text and softened details. Its front-facing f/2.2 8-megapixel camera suffers the same softened look. 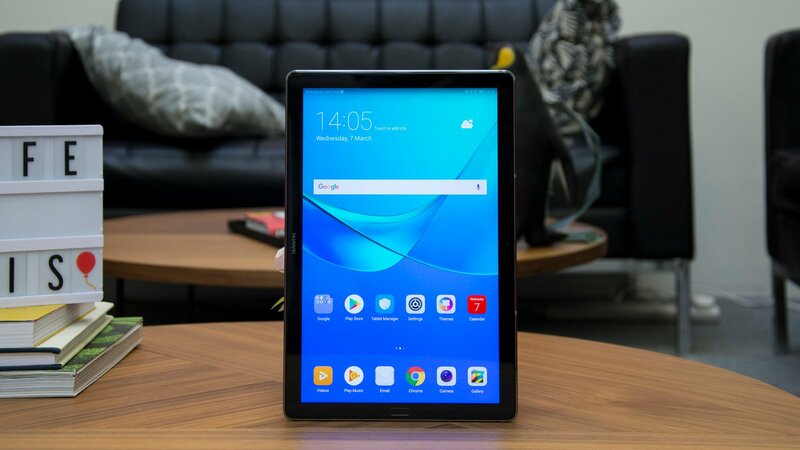 The Huawei MediaPad M5 Pro might not be flawless but it certainly is an excellent tablet and at around £500 you’re getting good value for money for the specification. It might not replace a Windows 10 2-in-1 and lags behind the 10.5in iPad Pro for apps and general performance, too, but it’s cheaper than the iPad and the Samsung Galaxy Tab S3 and competitive in terms of its performance and features. 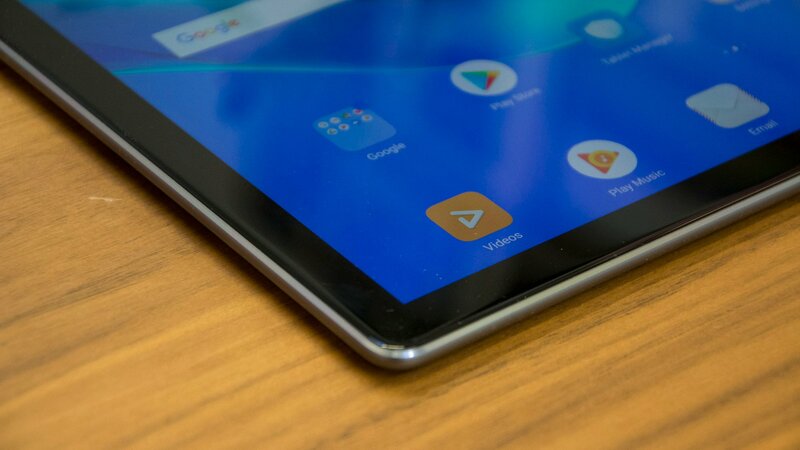 If you like the idea of using an Android tablet for play and a little bit of work, the MediaPad M5 is worth considering.